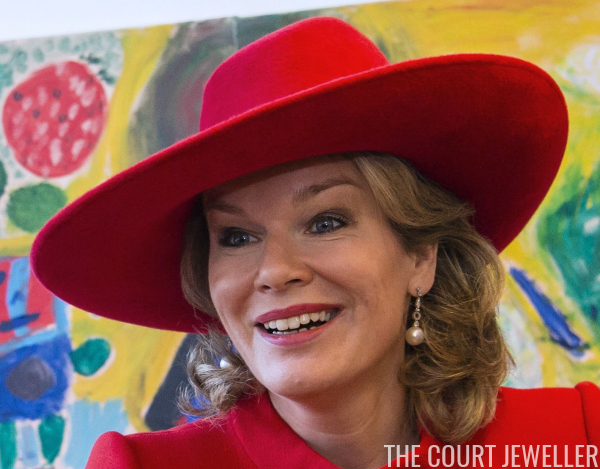 To begin the second day of the Belgian state visit to the Netherlands, Queen Maxima and Queen Mathilde stopped by non-profit organizations in Amsterdam and The Hague. 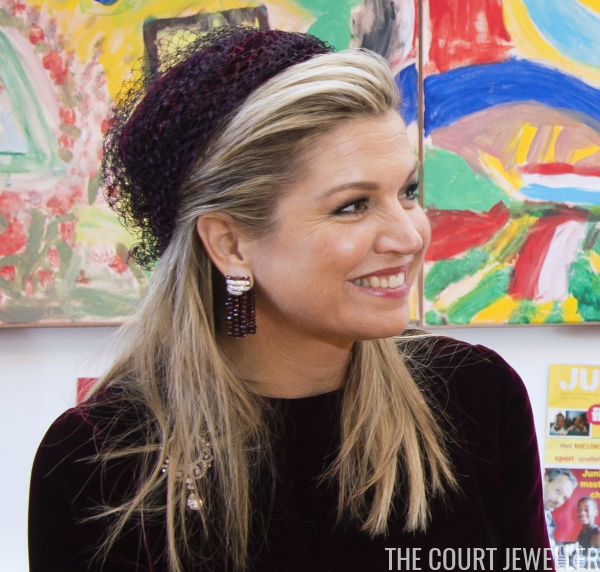 Maxima wore her diamond and garnet tassel earrings. Through her hair, you can also see the diamond openwork crescent brooch. She's worn this piece before, but this time, she added a pear-shaped diamond pendant. On her wrists, she wore her gem-set bangles and her family initial bracelet. And here's a look at both of their complete outfits.